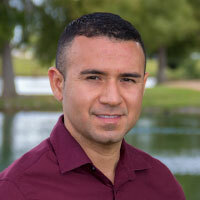 Born and raised in Odem, Texas, Lionel DeLuna graduated from Texas A&M – Corpus Christi with a Bachelor of Science in kinesiology in 2003. He worked as a first grade teacher for a few years and later in higher education in financial aid and as an academic advisor. He looks forward to serving students at Dickinson High School.